Established by New York City artisan Orlando Palacios, Worth & Worth strives to produce high-quality hats for the modern man along with many celebrities for the past twenty years. Worth & Worth designs have been worn by many celebrities including Keith Richards, Elvis Costello and Beyoncé. Orlando often collaborates with known designers like John Varvatos and Robert Geller. 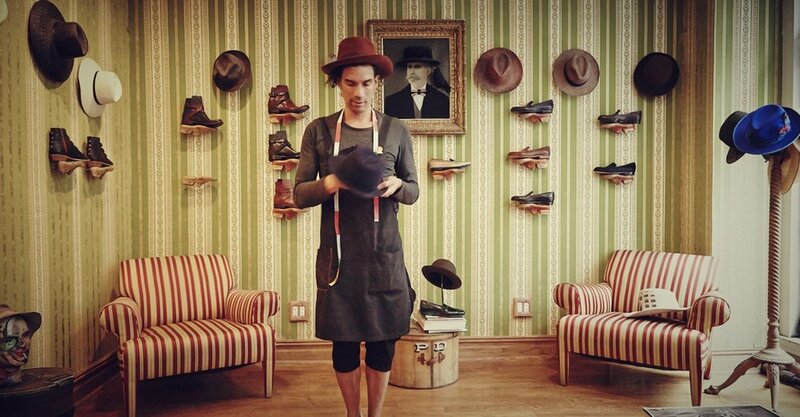 His passion allows Worth & Worth to keep the art of quality hat-making alive through his clever innovation and time-tested techniques.